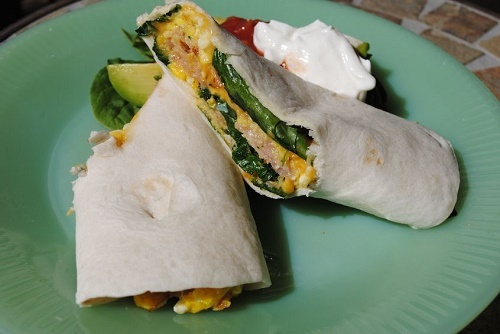 Liven up the breakfast table with an avocado egg burrito. Scrambled eggs and bacon can get boring after a while. But when you pile them into a flour tortilla and top with salsa and avocado, it makes an enormous difference. After your first taste, you’ll want to make these burritos a regular part of your breakfast routine.